Katy Perry may have a song called “Dark Horse,” but she’s hardly that when it comes to the 2014 MTV EMA — the Prism singer leads the race this year with seven nominations, including Best Song and Best Female. Yup, the EMAs are primed to return on Sunday, November 9, kicking off at 7 p.m. ET with a special pre-show live telecast in Miami before the big event touches down in Glasgow, Scotland, live from the SSE Hydro. This year’s show — honoring the biggest names in music from around the world — features a host of stars going to head-to-head for those shiny trophies. While Katy has nabbed the most nominations overall, Ariana Grande follows close behind with six, and Pharrell Williams and 5 Seconds of Summer are hot on the “Problem” singer’s heels with five nods each. One Direction, Nicki Minaj, Iggy Azalea, Eminem, Sam Smith and Kiesza all scored four nominations. Other notable noms include Iggy Azalea and Nicki Minaj facing off against each other — and Eminem, Kanye West and Drake — for Best Hip Hop, and the fan armies of acts like Justin Bieber and 1D vying for Biggest Fans. 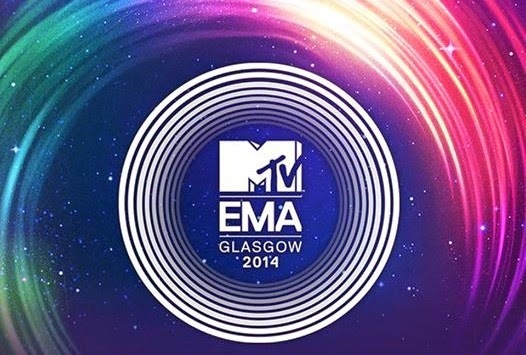 Voting is now live for all categories at mtvema.com, including the Best US Act category, for which one act will be chosen to face off against Beyoncé, Katy Perry, Eminem and Pharrell Williams. Demi Lovato, Ariana Grande, Trey Songz, Fifth Harmony and Austin Mahone are contenders for that spot, so competition is fierce. Keep voting! You can vote for all categories until Saturday, November 8, 2014, and the show will kick off on MTV channels around the world Sunday, November 9, beginning at 7 p.m. ET.